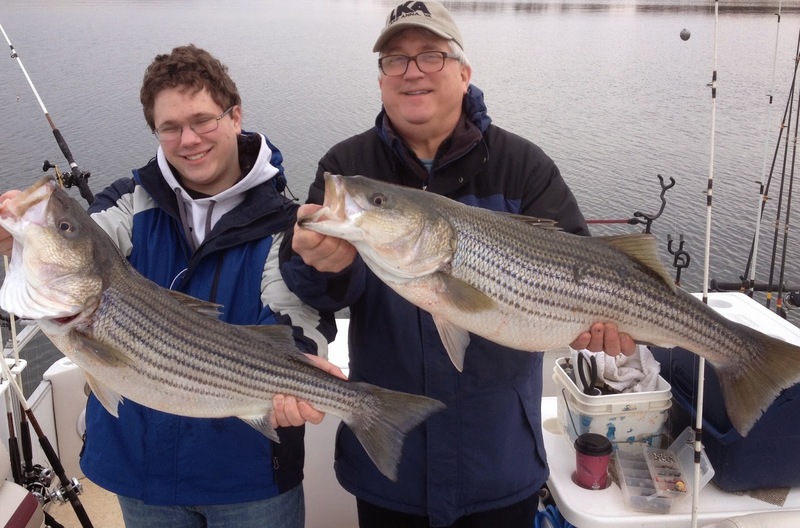 Lake Anna Striper Guide Journal: A couple of nice one's. I got out on the water this morning very early to catch bait and after 2 1/2 hours all I had to show for my efforts were 8 Herring. I met the guys at High Point at 7 then headed up to catch bait. I made 6 or 8 throws, filled the tank up and set out a spread of boards. Fish were not feeding well and all we fished was a half a day but the quality is better than quantity some days. The two fish they are holding hooked up at the same time. Carson boated his fish first then I started teasing Rick to get his up to the boat, he had already wrapped up two other lines and I was afraid it would break off. After the fish took him around the boat it rolled and we saw why he was having a problem getting the fish in. The fish weighed 17.5 and was 34 1/2 inch long. 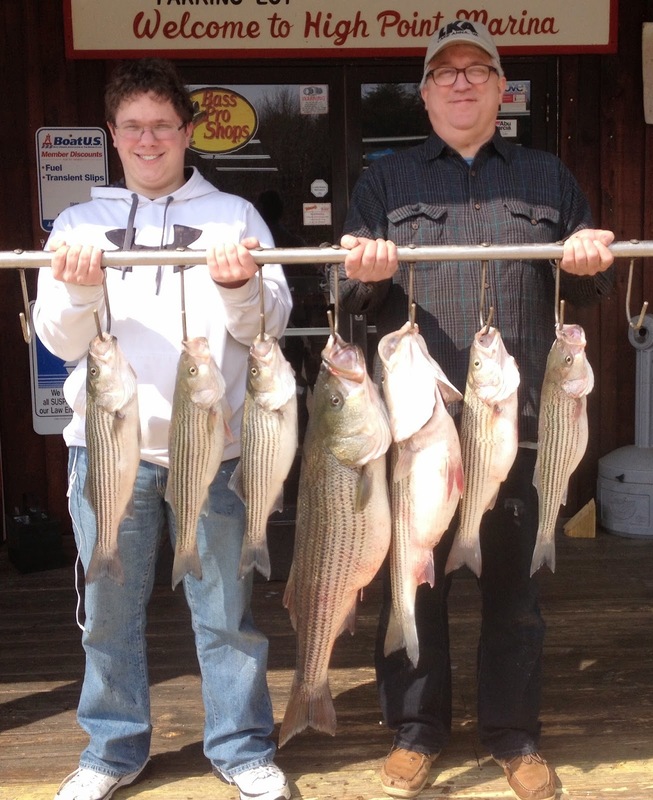 Not bad for Lake Anna, although 'tis the season for big Stripers.